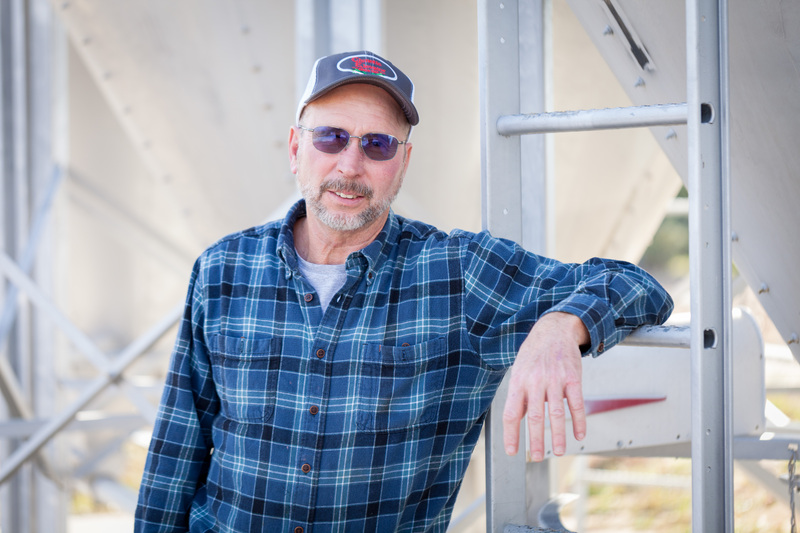 We believe knowing where your dog’s food comes from is just as important as knowing what’s in it. 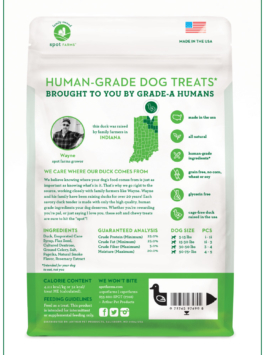 Each human grade dog treat is made with cage free duck and organic whole grains. A delicious, quality treat for them, peace of mind for you. 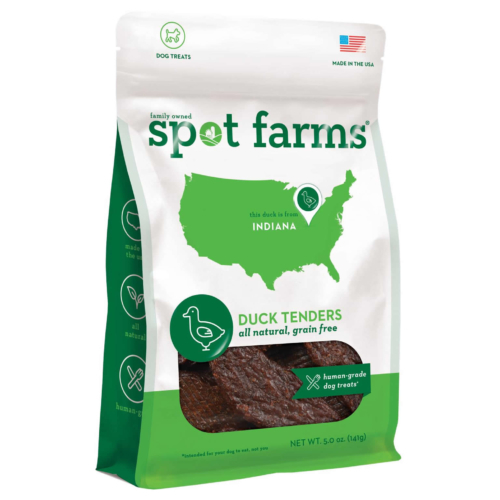 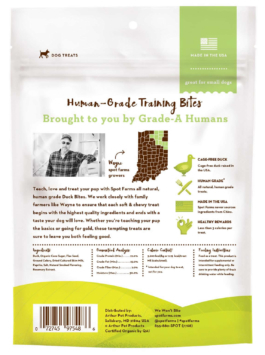 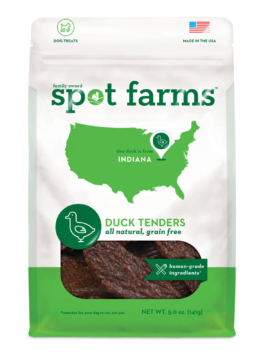 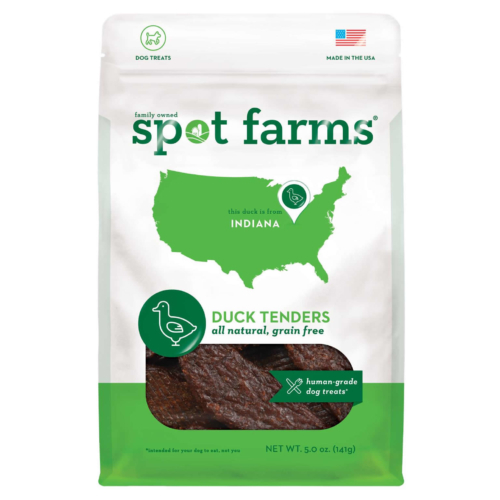 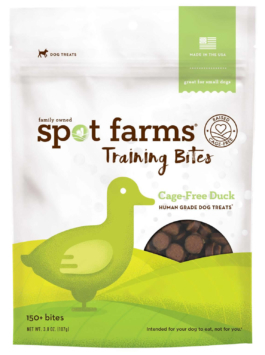 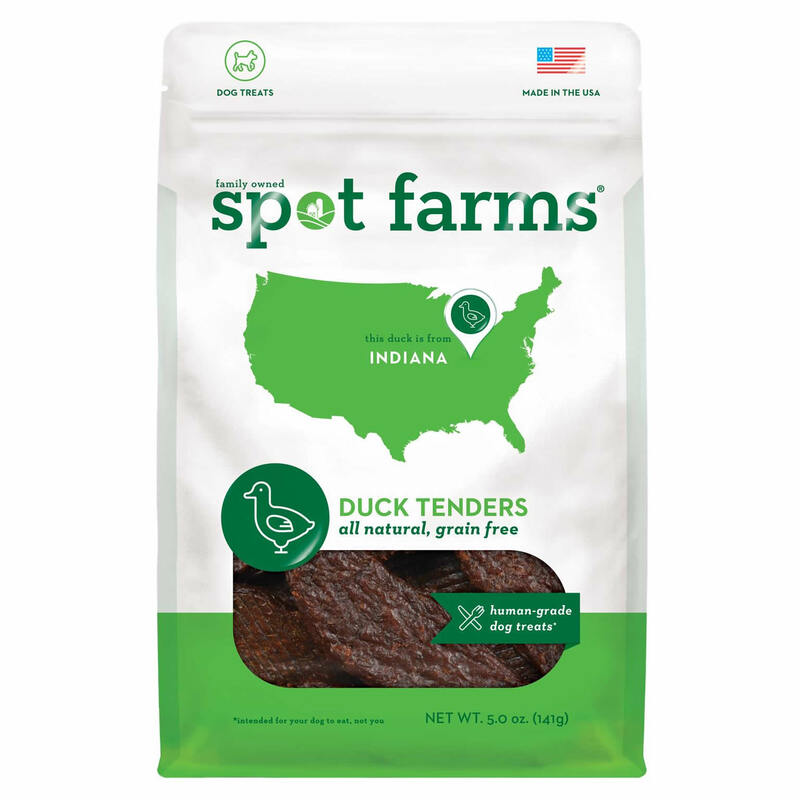 Made with CAGE FREE DUCK raised in Indiana, these are treats your dog will love and you can feel good about! 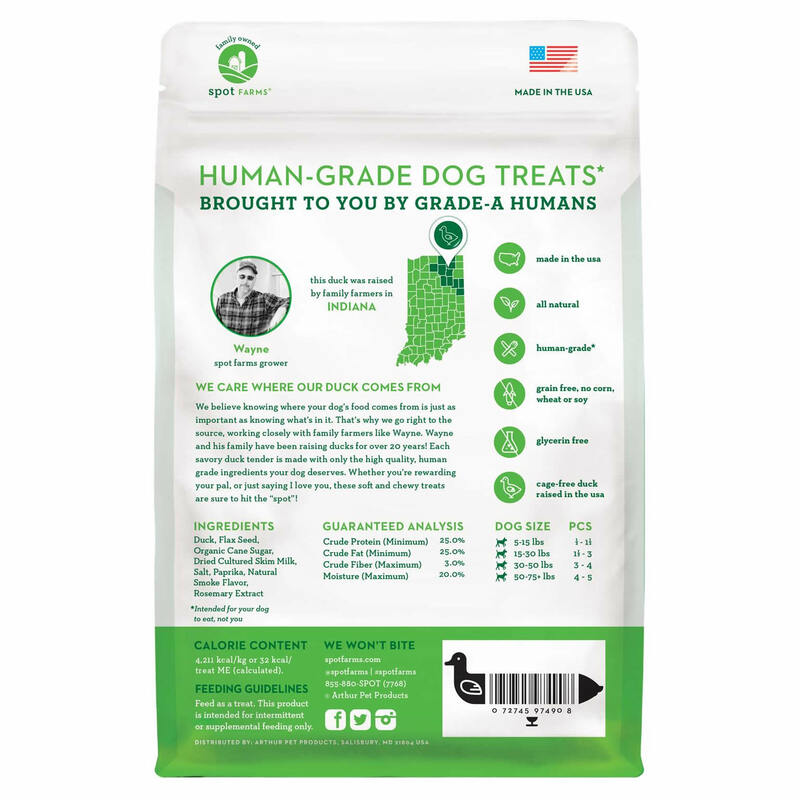 Our pups deserve the best. 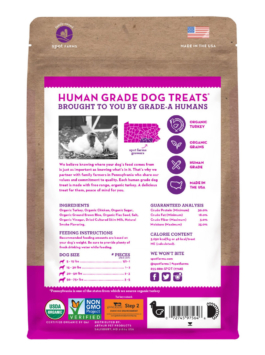 All of the ingredients that go into our treats are fit for human consumption AND we make our treats to the same standards required for human edible food. 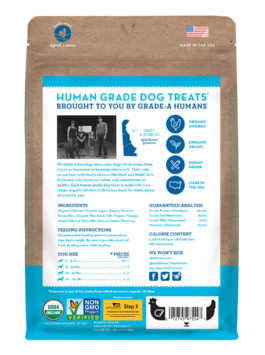 Heart healthy organic brown rice is gluten free and has a low glycemic index. 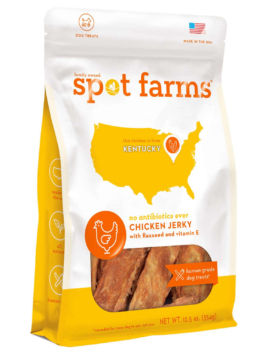 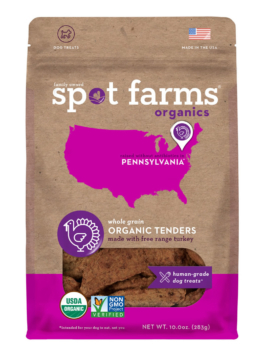 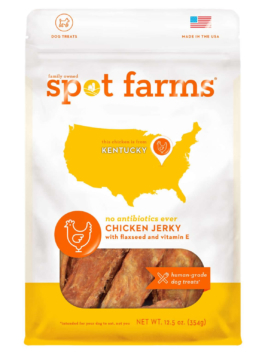 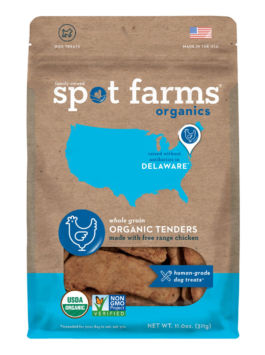 Spot Farms dog treats have no by-products and no artificial flavors, colors or preservatives.